As we all know, currently we are living in the century of High Definition video, the image we see on screen is as clear as the real world. However, it doesn’t mean all of us do have upgraded our old DVDs to HD content. Some people do not have the chance to enjoy the HD video, and it could not be better if they can watch DVD on large-screen and colorful HDTV. There comes to the question, how streams DVD to HDTV? In this article, I will introduce you two ways to have DVD to HDTV. Connecting DVD to TV is a bit complicated to understand, which takes a bit more time. So let’s follow the traditional way to make a HDTV DVD combo at first. Step one: Firstly, for connecting DVD to TV, we need to match the three colored cables (red, green and blue) to each of the color-coded counterparts at the back of the DVD player. And make sure that the cables have been plugged tightly into the HDTV set. Step two: Then plug the other end of the three color coded cables (red, green and blue) into the HDTV set. Step three: After plugging all the cables well, power on the DVD player and the HDTV set. Step four: Press the "power on" button with the HDTV remote controller directly. When you notice the DVD player logo or an introduction to the DVD, it seems that we have connected DVR to TV successfully. Do remember to turn off the HDTV set and the DVD player before you try to connect the cables. Do remember to turn off all electronics before connecting and disconnecting wires to reduce the chances of getting an electrical shock. In fact, though DVD seems to provide a wonderful picture when you play on an HDTV via method one, it is not a real high-definition video source. Upconversion* is one way to get DVD players to produce something like HDTV images, but the video being fed from these players into your display is not true HDTV. Leawo DVD Ripper, a third party toll can brings you a new way of watching HDTV easily and safely. 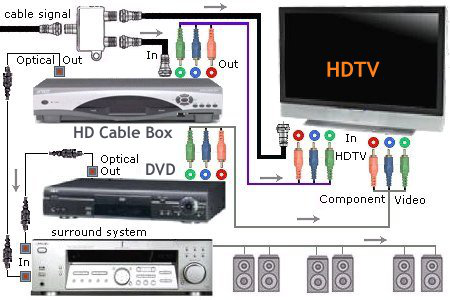 You do not have to switch on a HDTV to play web videos, or find out HDMI cable to connect your DVD and HDTV. How to Rip DVD to HDTV Video? Step 2: Get source DVD movies ready. Insert DVD disc to the Blu-ray drive, or get source DVD folders ready for loading and converting. Run Leawo DVD ripper, under the "Convert" tab, click "Add Blu-ray/DVD" button to load source DVD content. User can add the source content from DVD folders or disc for converting. 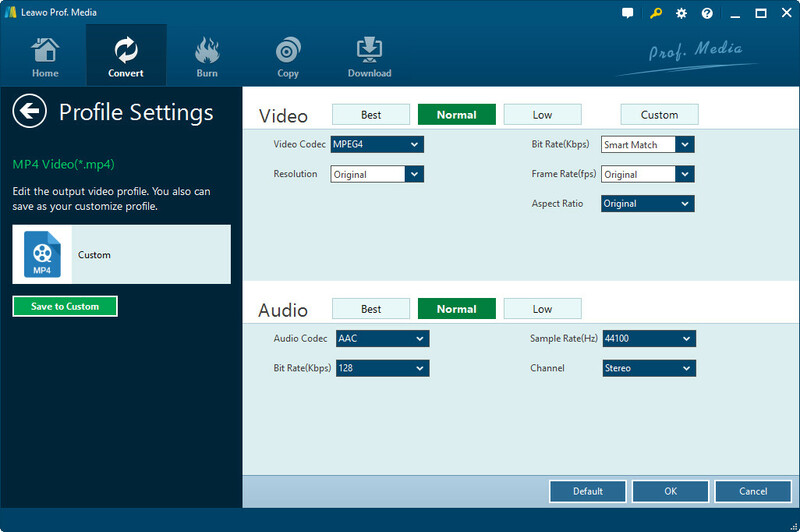 In addition, it also supports user to drag the file directly to the main interface to load DVD content. Note: After loading source DVD movies, you could select subtitles and audio tracks, play back source DVD movies, edit DVD movies, snap screenshots, etc. To select output format, click the drop-down box next to the "Add Photo" button, and choose "Change" button. There you will notice various video/audio formats and device models optional, such as 4K MP4, 4K MKV, HD MP4, HD AVI, MOV, iPhone 6s. As we are going to play the video on HDTV, we’d better to set an HD format. 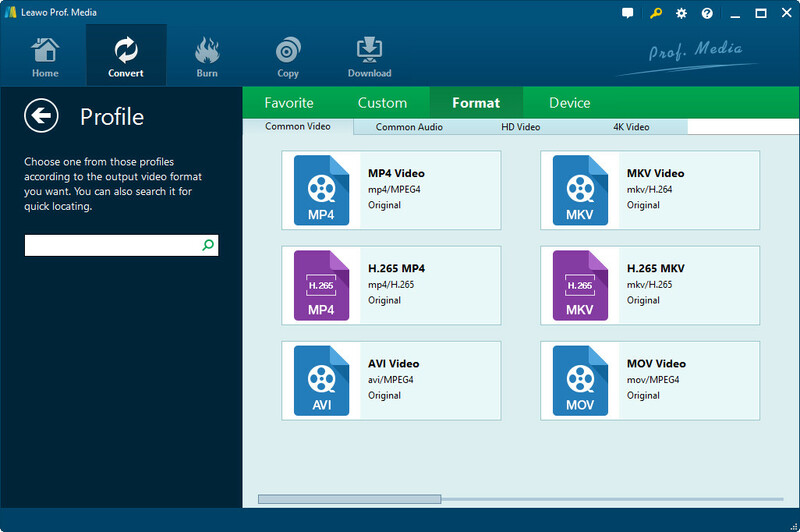 Therefore we can set "mp4 video" as output format. Back to the main program interface, click "Convert" button, then a small sidebar will appear for you to set a directory under "Save to" box. Tap the "Convert" button to start to convert DVD to HDTV. By following the steps mentioned above to convert DVD to HDTV, now you need to transfer the converted DVD movies from your computer to the HDTV. As usual, we can use a USB to transfer data. With just four simple steps, connecting DVD to HDTV is a piece of cake. Time to enjoy the best DVD movies on your large-screen and wonderful HDTV.